Choose from our vast gallery of swimming pool designs, be it an indoor or outdoor swimming pool, in a modern or period design, we have something to suit your taste. A swimming pool is the perfect addition to any home. If the right design is chosen, a swimming pool can be used all year round, even in the winter. Compass Pools have a comprehensive swimming pool design guide to help you pick your perfect pool and our expert design team is happy to work with you on all aspects of the design and construction. Whatever you’re looking for in a swimming pool, we’re confident that you’ll find your perfect pool in our range of nine swimming pool design ideas and 27 sizes. From the classic lines of the Brilliant to the feature-packed Sun Deck pool, each model has been created by talented swimming pool designers to give you a beautiful addition to your home or garden. We design and install indoor pools for existing buildings and outdoor pools for your garden – the choice is yours. We can also design a new building to house an indoor pool if required. Compass Pools UK is an exclusive UK importer and distributor for Compass Ceramic Pools®, bringing over 30 years and 30,000 pools of experience so that you can be assured of a high-quality swimming pool with a unique guarantee. Our pools are the perfect combination of form and function. Compass Pools stunning swimming pool designs are all made using patented ceramic composite pool technology to give you a pool with superior quality, longevity, durability and insulation. With the Bi-Luminite® colour finish, you can enjoy your choice of sparkling, luminous watercolours, and with a range of optional extras to choose from, you will truly be able to find a pool to suit you. Whether you’re looking for an indoor pool or an outdoor one, somewhere to relax and enjoy the sun or somewhere to exercise, our swimming pool designers have created a range to suit every need; you’ll find full details, including all the available sizes and dimensions, in our swimming pool design guide brochure or you can call to speak to one of our team who will be happy to advise you on the benefits of a stunning ceramic pool. Why not click here to request the brochure of sizes and dimensions? Finding a lasting swimming pool design for your property is imperative, after all, most people will only ever install one swimming pool within their lifetime. 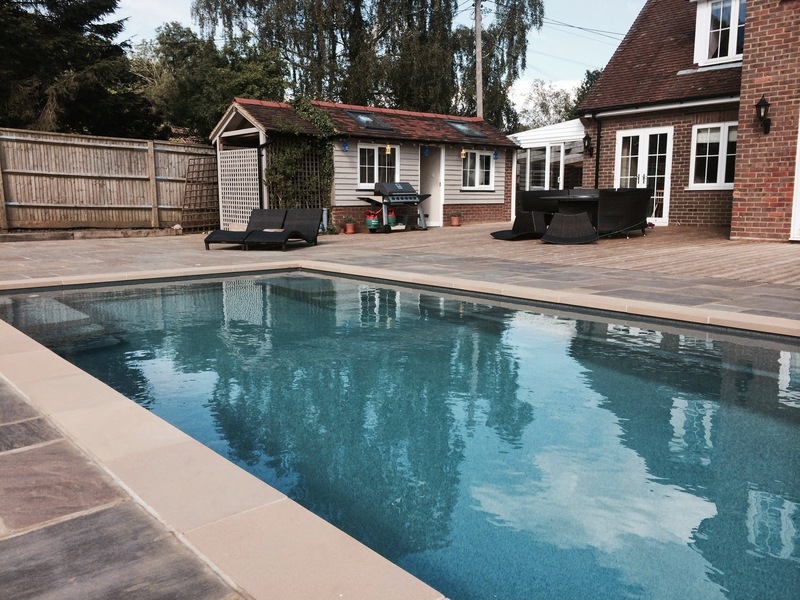 Compass Pools Designs are timeless, with a vast array of colours to match the style of your property.